The Panhandle-Plains Invitational Western Art Show and Sale opens at 6 p.m. Saturday at Panhandle-Plains Historical Museum in Canyon. Artists like Jack Sorenson of Amarillo, Amy Winton of Canadian and many more from around the region will be featured at the 17th annual show, which will hang through March 26 in the museum’s Foran Family Galleries. Art not bought at the opening reception will remain on sale, and proceeds benefit the museum’s ongoing efforts to conserve and restore its permanent collection. Panhandle-Plains Invitational Art Show: 6 p.m. Saturday opening reception; exhibition hangs through March 26. Panhandle-Plains Historical Museum, 2503 Fourth Ave., Canyon. Admission charge. 806-651-2244. Check out the new “So Long Winter” exhibition at ArtGecko Gallery while you’re strolling through the Galleries at Sunset Center during the monthly First Friday Art Walk. The exhibition features works from about 30 artists in a variety of media, all themed around the coldest time of year. Artists in the center’s other galleries will display works during the walk, as well. First Friday Art Walk: 5 to 9 p.m. Friday. 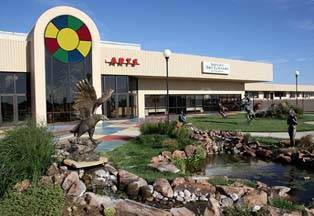 The Galleries at Sunset Center, 3701 Plains Blvd. Free. 806-353-5700 or www.amarilloartists.com.